Complementary therapies are great and can be part of your high blood pressure treatment. If you are already taking medication to treat hypertension its important to continue, but you can combine any of these therapies to help harness your body's natural healing abilities. I have used and continue to use these treatments to assist in the control of my blood pressure, and because of their healing properties my doctor was able to prescribe a low dosage of my medication. The same is possible for you. It is important to consult with a qualified practitioner. Also ask them about their successes in treating hypertension, and any other chronic health issues. The main complementary therapies that are my favorites, I highly recommend here and have used that are helpful in lowering high blood pressure: acupressure, acupuncture, aromatherapy, herbal meditation, homeopathy, reflexology and yoga. Aromatherapy, yoga and meditation works mainly through relaxation techniques. While homeopathy, reflexology, acupressure and acupuncture harness your body's natural healing ability to lower blood pressure. Herbal medicine uses plant extracts that have physiological effect in the body. This I do daily and love it. Its a health check thats natural and drugless. 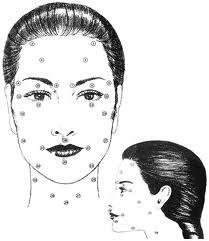 There are eight key meridians points on each side of the face and head and they are outlined on the face above. People of the Orient have used these self-help for thousands of years. Every morning just massage your face and tune up the organs of the body. Start by rubbing the palms of your hands together briskly before touching the face. Then briskly rub and down both side of the face in a scrubbing motion, that way you hit all the facial meridians at one time. Read more here on specific points and techniques to massage for healing. Acupuncture should be part of every type chronic disease complementary therapies. As long as the body's healing energy flows smoothly along all and through the meridians, we live in a state of health and balance. By inserting needles into specific acupoints, the removal of energy blockages is enabled. If the free flow of this energy is disrupted by illnesses, stress, poor diet, to name a few, an imbalance is created. Studies have shown that acupuncture can improve the functioning of the left side of the heart; and thats very effective as a complementing treatment when anti-hypertensive drugs have failed. Review the many effective use of acupuncture here. I am all about essential oils. Discover the restorative comfort and healing properties of fragrance to heal body, mind and spirit. Aromatherapy is an ancient therapeutic art of blending essential oils or extracts distilled from aromatic flowers, plants, herbs, and fruits for medicinal purposes. The oils I use are therapeutic grade and are concentrated plant extracts and should be used with care. Aroma Life essential oil, and Ylang Ylang are the ones I use daily because they have a diuretic effect on the body which means they flush out excess fluids. When an aromatic essential oil permeates our skin, the oil penetrates the epidermis, stimulates our lymph duct system and enters the bloodstream and eventually delivering its intended healing purpose. 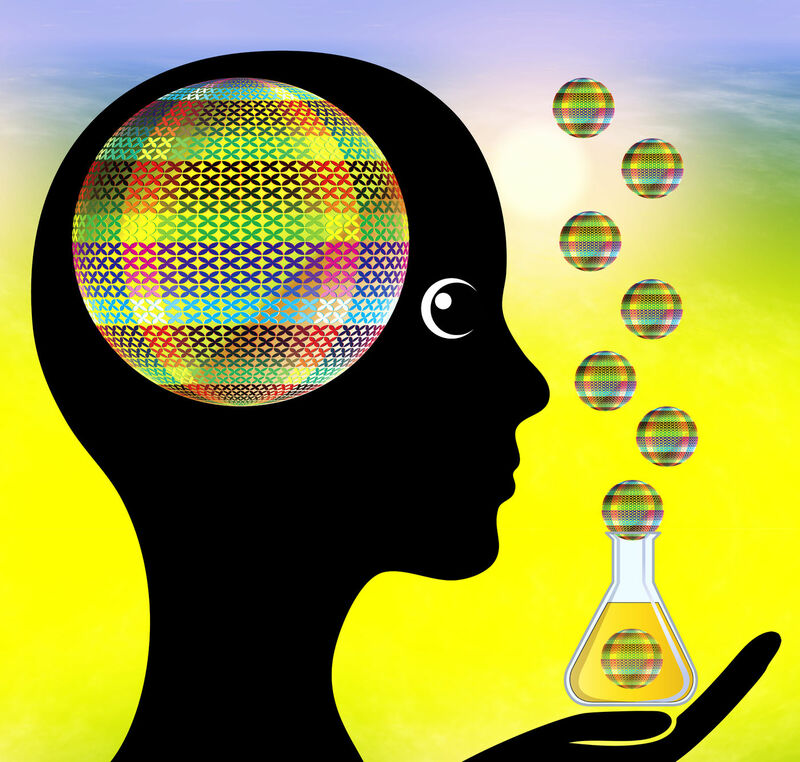 I also diffuse oils into the air as a way to pick me up, or stimulate my brain, to activate memory, as a tonic for mental fatigue and strain or to calm the mind. Other oils that are great as a complementary therapy for hypertension are cedarwood, citrus fresh, cypress, humility, juniper, lavender, peace and calming. You can purchase these and other therapeutic grade essential oils here. I also have an essential oil desk reference book, compiled by Essential Science Publishing, that can be found on Amazon, that list the use of every oil there is and the best ones for specific ailments. If you prefer you can visit an aromatherapist or an acupuncturist who uses essential oils as part of their treatment, to find out which ones are best for you. Most essential oils are not taken internally. I place just a drop on both my wrist in the mornings, the inside of my elbows in the afternoon and behind my ears at night. These plant extracts are powerful. The desk reference do instruct on how and which oils that can be taken orally. Herbal remedies were used by our forefathers, and the Indians to heal and treat all ailments. Back then everyone didn't have access to doctors so they relied on nature's bounty to heal. Different parts of plants - roots, flowers, leaves, bark, fruit or seeds; and it depended also on the part that has the highest concentration of the active ingredients thats needed, are used to create herbal medicines. There is a wide range of complementary herbal remedies that are very effective in the treatment of hypertension. Some herbs are safe to take without supervision while others should be used after you consulted with a medical herbalist. 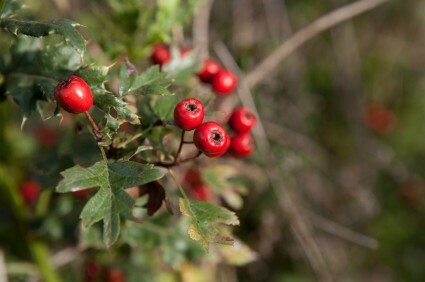 A safe herb thats great without supervision is hawthorn flowers and berries. It has a mild diuretic action, is highly recommended because its known to relax the blood vessels in the peripheral circulation and improve blood flow to the heart muscle by dilating the coronary arteries. Another green herb is garlic. We cook with this ingredient. Its flavorful and is known to also lower blood pressure by dilating small arteries and veins and improve the elasticity of major arteries. Researchers state that garlic reduces the risk of heart disease and stroke by fifty percent. Once I was eating so much raw garlic that the smell of it was coming out of my pores. I had to stop, so don't over-do-it like me. Everything in moderation. There are many other herbs thats great for hypertension, look at these top five herbs for high blood pressure. But when purchasing herbs always read the warning in the caution box, because sometimes it is only recommended to be taken for a two weeks period at a time. Mountainroseherbs.com has excellent organic herbs to choose from. As you can see complementary therapies should be part of your overall health program. These therapies assist in the body maintaining vibrant health and longevity.